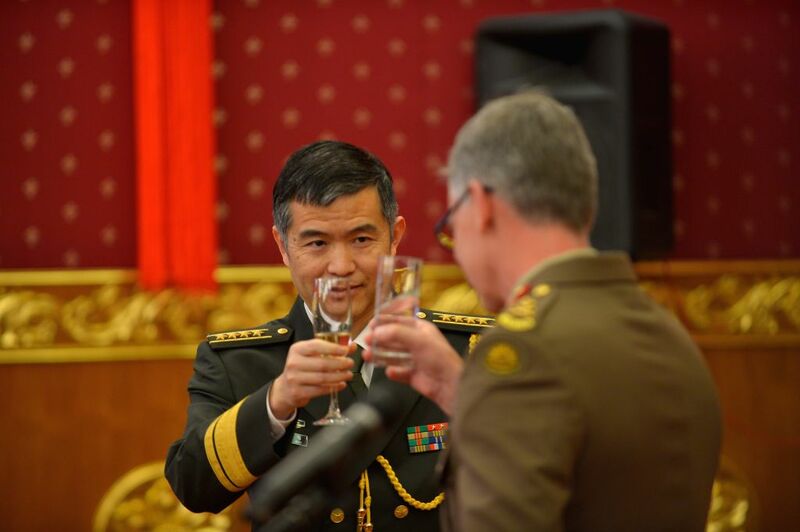 CANBERRA, July 29, 2016 - Senior Colonel Wang Jingguo (L), Defence Attache of the Chinese Embassy in Australia, and Major General Rick Burr, Deputy Chief of Army of Australian Defense Forces have a toast at the reception to mark the 89th Anniversary of the Founding of the People's Liberation Army at the Chinese Embassy in Canberra, Australia, July 29, 2016. 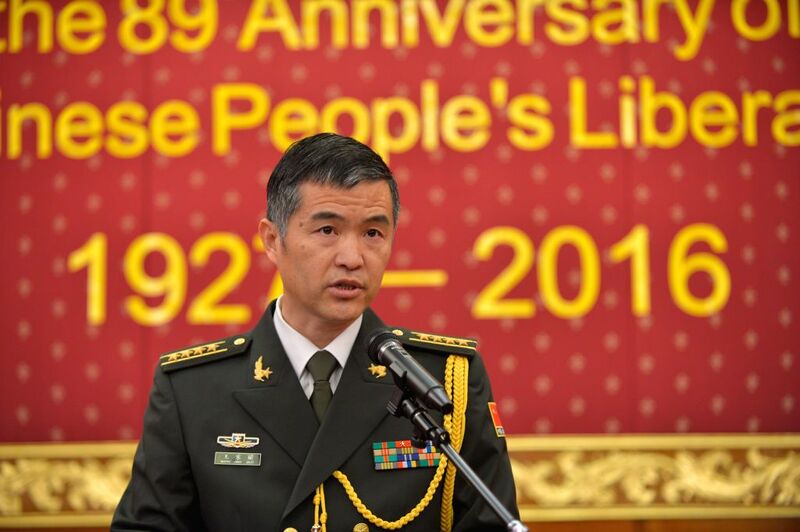 Senior Colonel Wang Jingguo, Defence Attache of the Chinese Embassy in Australia, gives a speech at the reception to mark the 89th Anniversary of the Founding of the People's Liberation Army at the Chinese Embassy in Canberra, Australia, July 29, 2016. 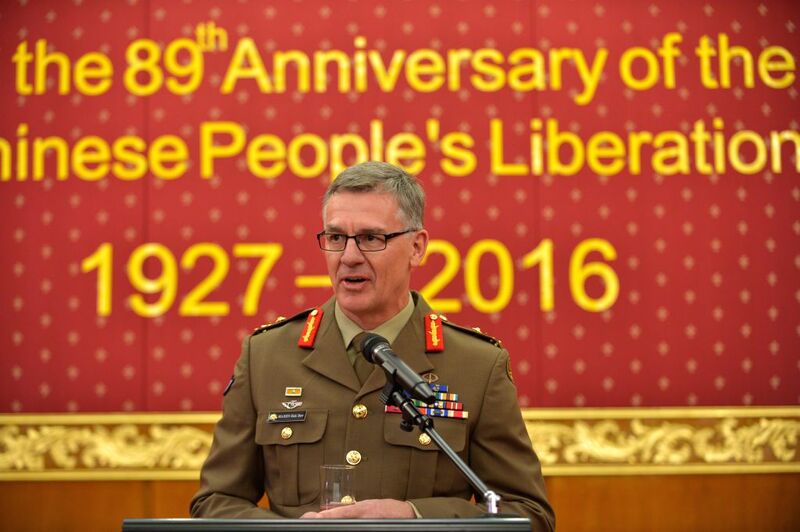 Major General Rick Burr, Deputy Chief of Army of Australian Defense Forces, gives a speech at the reception to mark the 89th Anniversary of the Founding of the People's Liberation Army at the Chinese Embassy in Canberra, Australia, July 29, 2016.